I’ve always struggled with the weather during wargames. You know the sort of thing: which way is the wind blowing and does it effect what I’m trying to do? I thought I’d solved my problem by using an arrow spinner. One of my suppliers showed me these earlier this year and I thought I’ve got to stock these over at Vexillia (one of my day jobs) because they are going to be really useful to all gamers. Either the clear plastic dividers from a cake, or spindle, of CDs or an old and useless CD. Some self adhesive CD labels. You can be sure the first few won’t work. 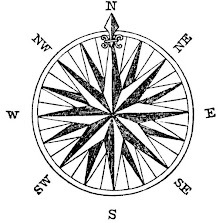 A public domain image file for the compass rose (see later). 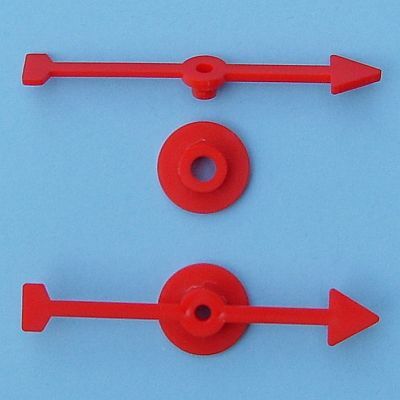 a £0.50 arrow spinner or similar. Import the image file shown below right into your labelling software or drawing package. 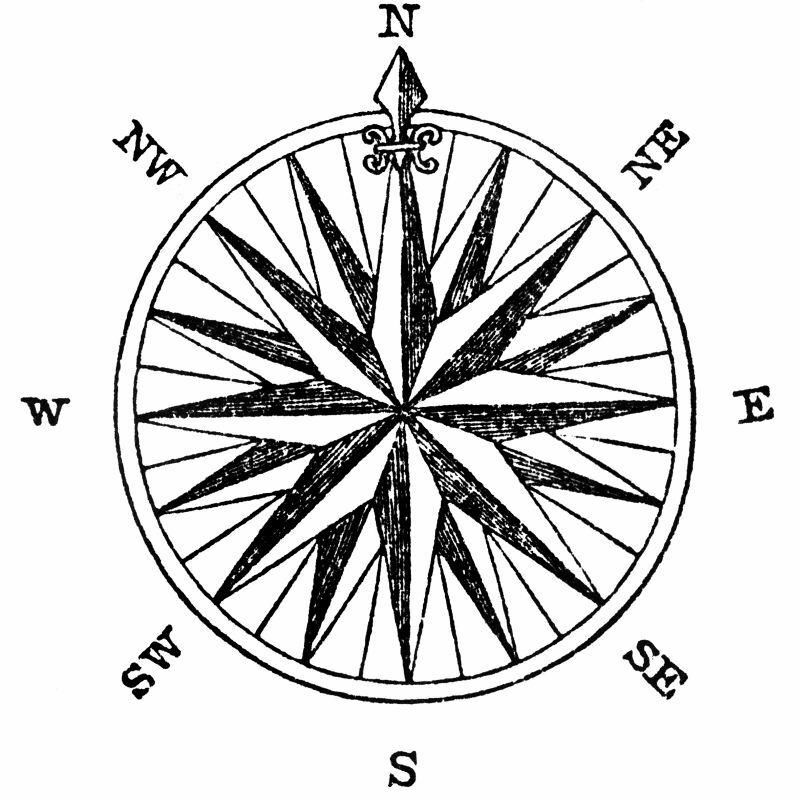 Print a CD label using the image of the compass rose. You will have to resize the image slightly and make sure it’s centred on the label. Stick the label onto the CD. The spinner has two parts. Split the spinner and super glue the top of the base of the spinner to the unlabelled underside of the CD. Wait five minutes before popping the top of the spinner back onto the base. I store my new weather vane in a zip lock bag in case the arrow falls of in transit. It took me longer to align the image on the label than it did to make the weather vane. Be prepared to be patient with this step. Neat idea. Instead of using a sticker label, why not use a DiscPainter to print the compass directly to the disc? It will already be aligned and sized to fit exactly. Just a thought. I'd not heard of DiscPainter until your post Norm. A neat solution but they start at $279! Or.. I could just buy the wind pointer from Litko for a very small sum. 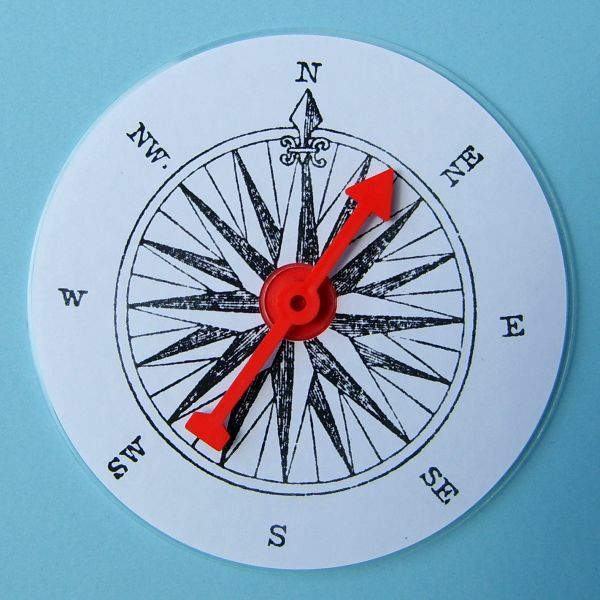 I presume you mean this compass - http://tinyurl.com/5ushee - for $2.99? It looks great, although I didn't see a wind pointer, but you certainly don't get the "Blue Peter" effect of making your own. For non-UK readers, information on the Blue Peter TV show is available at http://tinyurl.com/6olwoy.